Ever since garages became a thing in Silicon Valley, an endless array of businesses have sprung up promising “to make the world a better place”. Now that President Trump has announced to withdraw the US from the Paris Climate Agreement, it appears that we need businesses like these more than ever. Climate change is one of the biggest challenges the world’s facing today. 97% of the world’s scientists unanimously agree that us humans, are accountable for this effect. Luckily, by those who did sign the Climate Agreement (aka the rest of the world), progress is being made. In 2015, the global investment into clean tech and renewable energy reached $328.9 billion, an all-time high. It comes with no surprise that hundreds of millions of workers have now become dependent on the clean energy industry. Last year, 374,000 people were employed in the US solar sector alone, which is 43% more than oil, gas and coal combined. So, let this be a lesson. President Trump’s announcement will not stall, but empower us. His stance will propel people to accelerate the adoption of clean tech and energy. We can’t talk about clean tech, without talking about clean vehicles. 20% of the total CO2 emissions transmitted worldwide is coming from transportation. With the ever-increasing city congestion in urban areas, the situation is only getting worse. As a result, the demand for zero emission cars has become bigger than ever before. About 50 new electric vehicles are expected to hit the road in the next three to five years. And more than 30 million Americans say that they’re likely to buy an electric vehicle as their next car. So, you do the math. If demand translates to sales, the electric car market will be in a very good place, regardless of any political setbacks. Beyond Tesla (and all the other carmakers that have finally picked up the pace), the electric-car industry very much evolves around incentives and infrastructure. Public organizations and private facilitators are the ones helping people to get behind the electric wheel one driver at a time. This is where companies like ours come in. As an electric-car charging solutions provider, our job is to develop new technologies that allow our charging stations to power up any electric car as fast and energy-efficient as possible. Our day-to-day routine involves consulting businesses and local governments about the importance of electric transportation and the benefits of providing charging facilities. We’re also testing and optimizing our hardware and software to maintain an optimal communication between the grid, the station, the station owner, and the electric driver. This integration needs specific attention, as in the near-future, we’ll be able to produce, consume, store, sell, and re-use our own electricity. In the seven years that we’ve been in this business, we’ve seen both consumers and organizations convert from combustion to clean at the blink of the eye. Simply because they’d like to contribute to a more sustainable future – yep, there it is again. We now know that electric cars are crucial to achieving environmental standards, and charging infrastructure is crucial to getting those electric cars on the road. Since 2013, the number of charging points have increased at least 10-fold worldwide. In 2016, the global market of charging services was already worth $1.16 billion. This number is expected to increase to $46 billion by 2025. It’s safe to say that we’ve become one of the fastest growing industries today. The evidence is ever-increasing before your very eyes. As renewable energy jobs hit 10 million mark worldwide, companies like ours, EV-Box, are expanding their man-power exponentially. Over the next six months, we’ll be hiring over 50 talents. So now is in fact the best time to apply. Because if no-one was “making the world a better place”, it’s soon going to be us against the sun. Check out five of the new technologies unveiled at CES that we think will make a huge impact on the world and the way we live. More than just a faster processor or a higher resolution monitor, this tech could have a real lasting impact. For Women in Tech Week, we caught up with a few of our female EVBoxers who are paving their own careers in cleantech—one of the most fast-paced industries in the world. It's Pride Week in Amsterdam! Here's your look into our city's unique role in diversity and zero-emissions, and why clear skies are specifically needed in a country where the rainbow reigns. 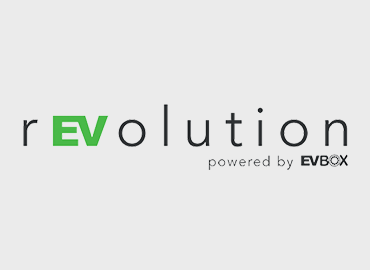 Subscribe for the latest on sustainable mobility, electric cars, and energy transition, created and curated by EVBox.